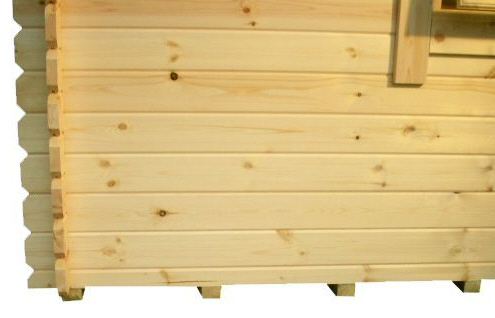 The Forde - This Superior Grade 44mm Interlocking Logs building is a versantile garden building. 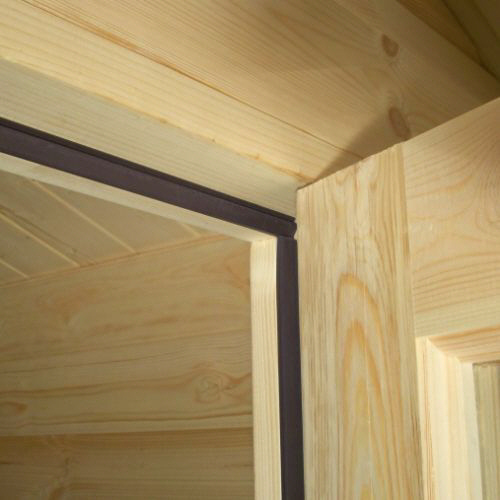 Roof boards are 19mm planed tongue and grooved boards supported on 45mm x 120mm purlings. Doors and windows are joiner made and supplied fully glazed in standard glass. Factory fitted pressure treated weatherproof heavy duty floor joists supporting 19mm planed tongue and grooved floor boards. Key-lockable doors and windows are professionally draft sealed. Heavy duty green mineral roofing felt as standard with option to upgrade to heavy duty roof shingles in different colours. It features a practical 600mm roof overhang on the front gable to protect you from the elements.